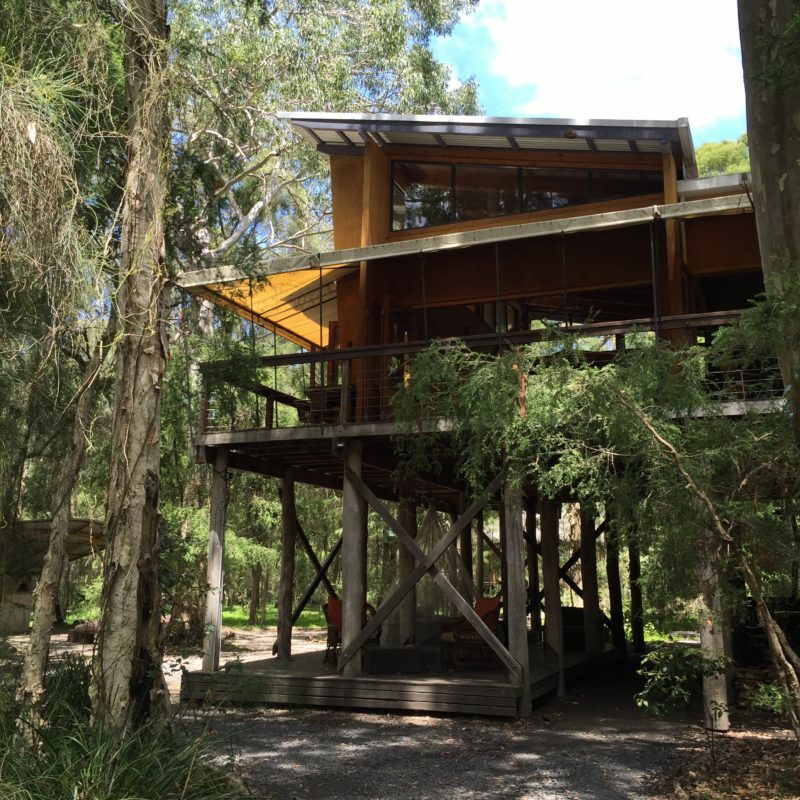 Jervis bay is located a 2,5 hours drive from Sydney. 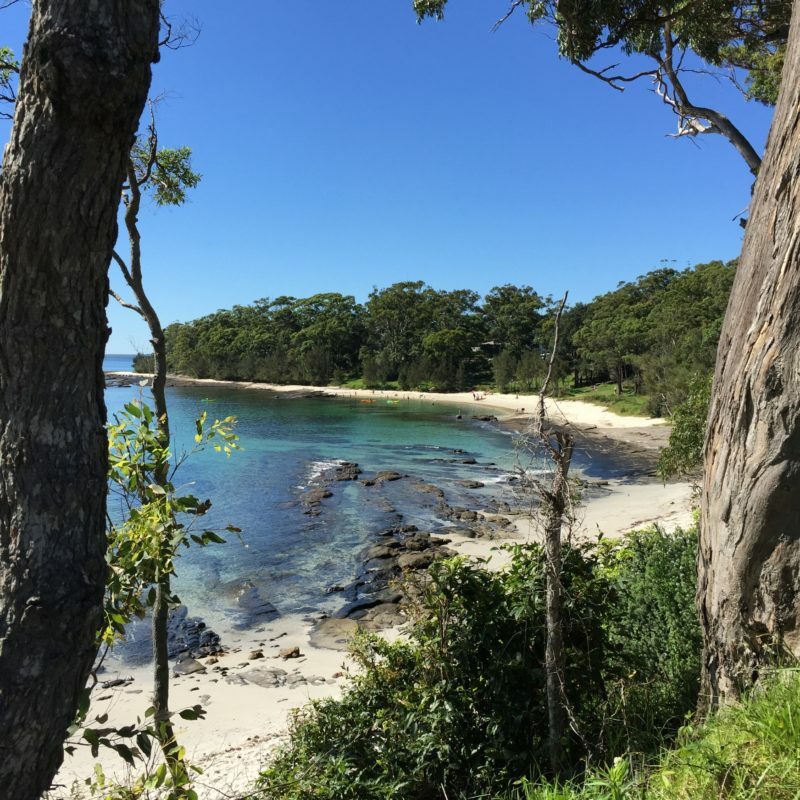 The bay is well known for whale watching (in season: June to November) and its pristine beaches in the Booderee National Park. 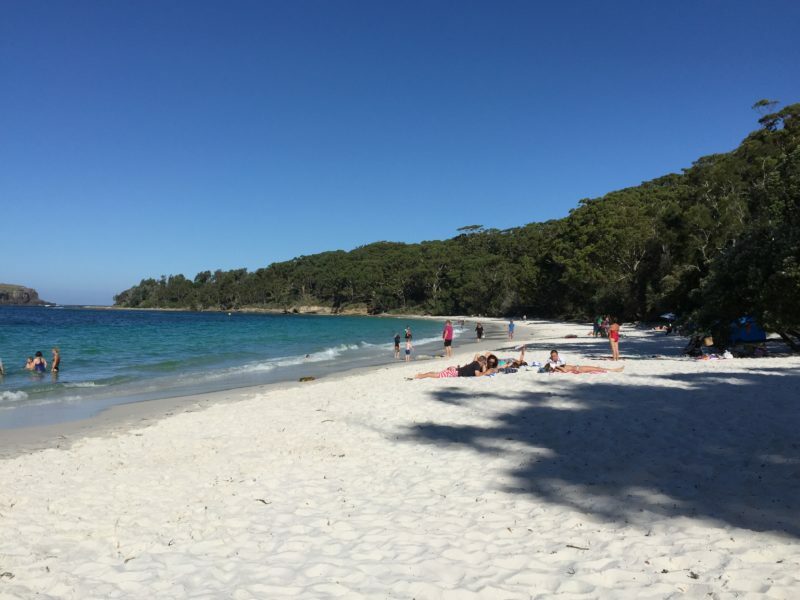 Murrays Beach is considered its jewel, a perfect spot for snorkelers or just relaxing on the white sand beach. 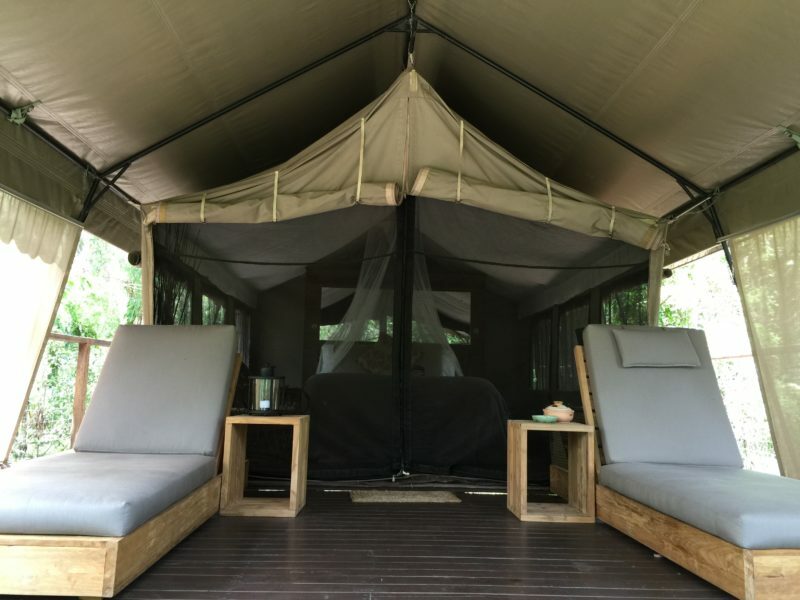 As for the accommodations, there are no remarkable hotels but a unique eco-luxury campground, PAPERBARKCAMP. 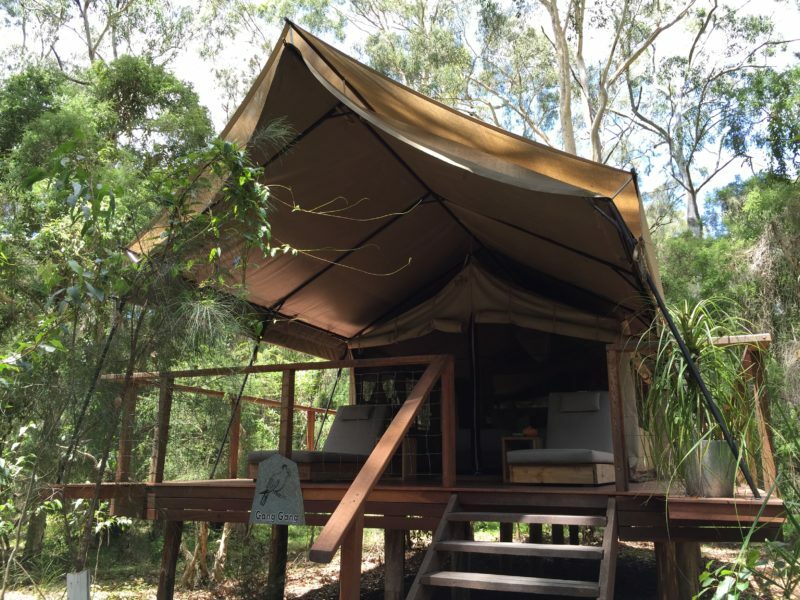 Its sophisticated tents are well integrated into the nature setting. 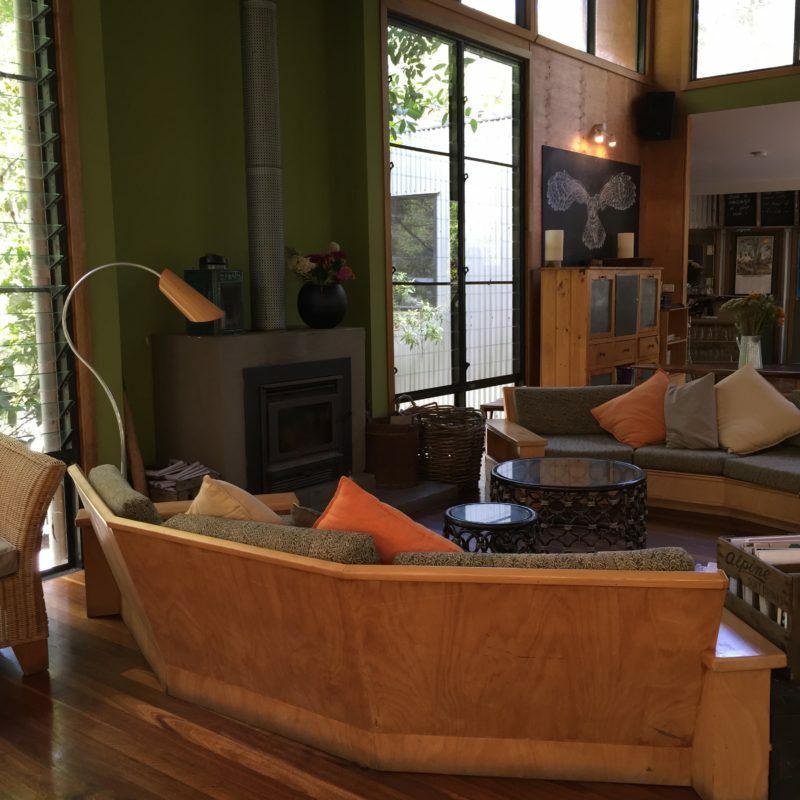 The treetop reception/communal lounge/restaurant building designed by Sydney architects Nettleton Tribe is architecturally remarkable. 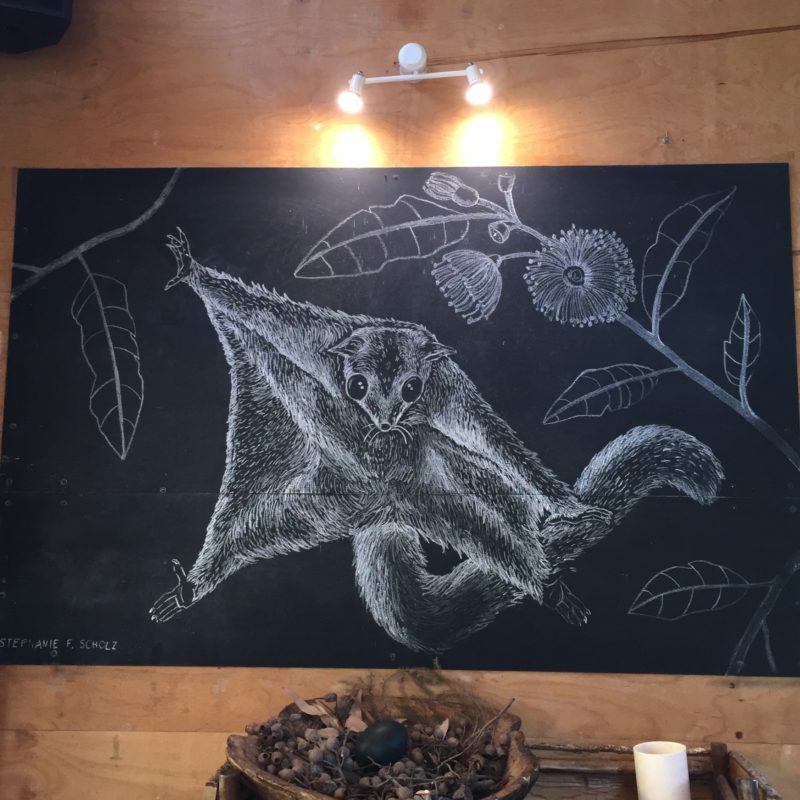 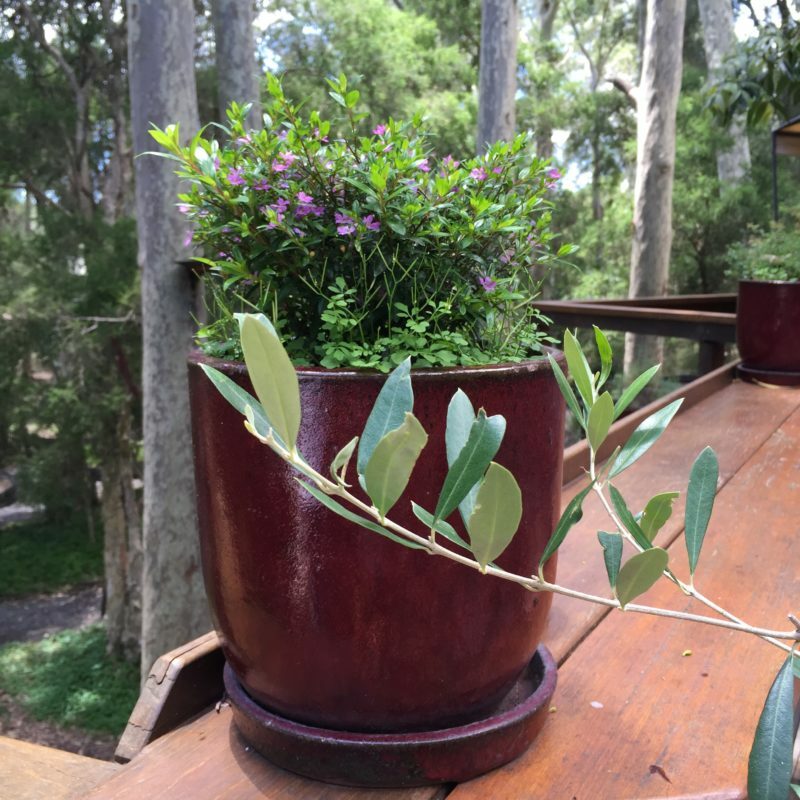 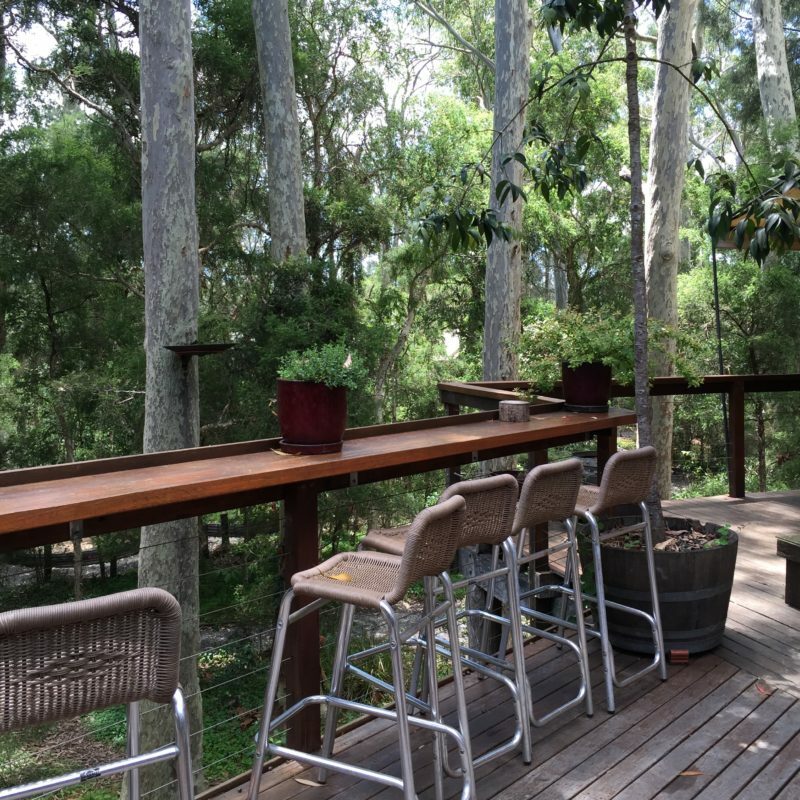 The Gunhya (meeting place or place of shelter in the aboriginal language,) serves gourmet food, with locally sourced produce, some even coming from their on-site vegetable garden – impressively maintained in the middle of a eucalyptus forest. 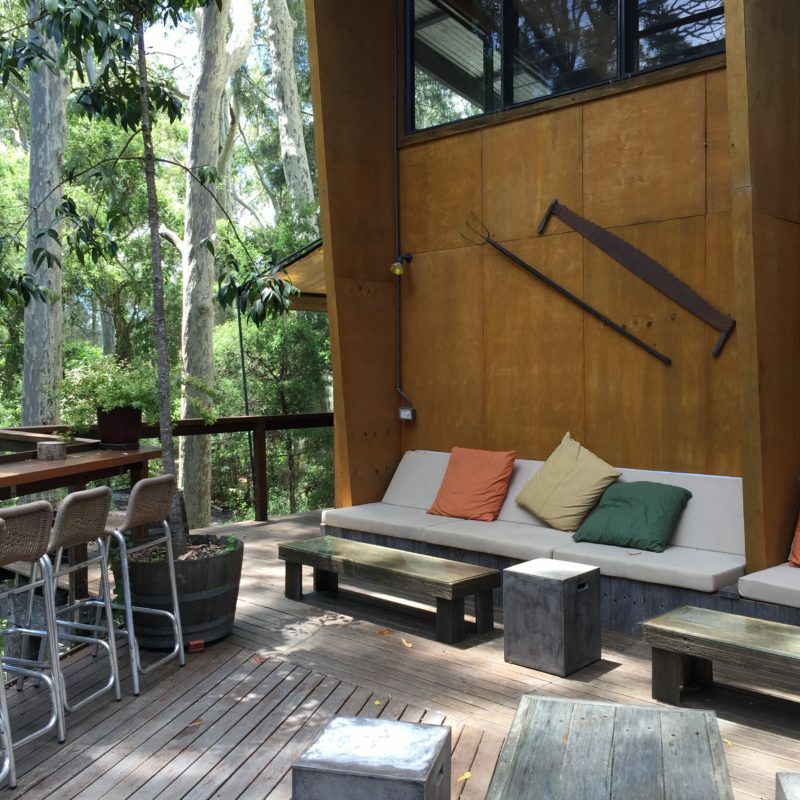 Though not located either on the beach or in the National park, this place has all the necessary ingredients for a perfect weekend immersion into nature.